Now that the Union Budget has been delivered, what’s going to be way forward and what does the Industry experts think about this Budget? The buzz around the Budget is now getting stronger. Yes, the day after the Union Budget for 2016-17 was delivered by the Finance Minister Arun Jaitley, almost all of India went back to look into the fine print of what it actually means for them. So how will Budget impact India Inc? How do they view the Budget now that everything is out there to deliberate and implement. Budget seems promising for India’s youth – whether it is about quality of education, focus on skill development, improving teaching and research outcomes, emphasis on job creation or creating an ease of business to promote entrepreneurship. It is good that the Public Private Partnership model has worked reasonably well for the skills ecosystem which needs to be given more encouragement. The setting up of 1500 Multi Skill Training Institutes (MSTIs) is a great PPP initiative that will give major boost to skill development while the National Skill Assessment & Certification Board with both government and industry representation, will be instrumental in ensuring quality assessment of the skilled workforce that gets trained. The continuity in tax benefits available under section 35CCD to training institutes till 2020 is also encouraging to the skill ecosystem. With 8.33% contribution for all new employees for first three years, this year’s Budget has created incentives for employers to create more formal jobs however fell short of ensuring that the youth gets more in hand. The outlay around skills and education need active private sector participation, and with regard to the proposed industry connectivity, we shall eagerly look forward to. The outlays on infrastructure and clear roadmap around taxation and fiscal policies around Start up India initiative are highly commendable and will be responsible to create quality jobs in India. The plan to Employ India is getting clearer, now it’s time to execute. Legalizing of Aadhar and amplification of ATMs across all post-office is a boost to financial inclusion at bottom of the pillar. 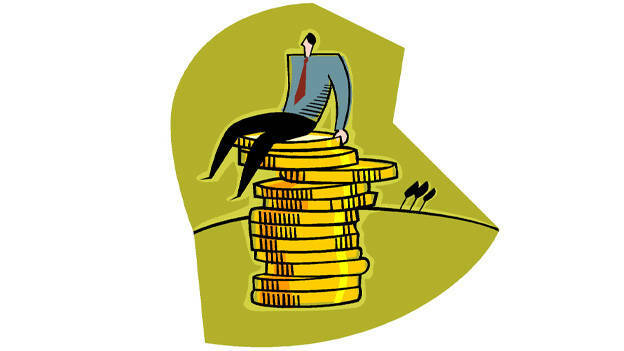 The government has hit the nail in the head by providing 8.33% employee provident fund (EPF) contribution towards new employees for three years and Rs 1000 crore have been allocated towards it. This will not only promote employer to generate more jobs, but will also encourage employers to move towards professional employment. It is amply clear that the government is serious about job creation as the Finance Minster, Arun Jaitley, announced the objective to skill one crore youth in the next three years . There is allocation of Rs 1,700 crore for 1500 multi-skill development centers across the country. The Budget proposal to establish 1500 multi-skill development centres with an allocation of Rs. 1,700 crore and develop entrepreneurial skills in one crore youth in the next three years is a major step. This will make the youth of our country skilled and job ready. We believe that a host of other initiatives like Digital Literacy Mission Scheme for rural India, Entrepreneurship Education and Training through Massive Open Online Courses, and regulatory architecture for 10 public and 10 private institutions for world class teaching will also go a long way in imparting quality education and bringing standardization in education and improving literacy percentage of the country. With skills developing initiative, the youth will get employed/self-employed and living standards will improve. Especially the government initiatives are mostly employment linked which makes this whole exercise more effective. "While it is heartening to see the allocation of funds in Budget 2016 to strengthen higher education through a non profit organisation and skill development through the Pradhanmantri Kaushal Vikas Yojana(PKVY), the future plan involving the setting up of 1500 skill institutes should be done in tandem with the industry expectations of skills required in various job roles today. For job creation in India to scale up, it is imperative that there is a constant realignment of skill expectations for jobs available in the market for all the stakeholders involved - job seekers as well as recruiters - with the changing nature of job descriptions today. " What clearly stands out in this Budget is its focus on rural, social and infrastructure sectors. By heavily increasing allocation for various programs focused on these sectors and introducing the new ones, the core issue of generation of rural employment and generation of demand in the economy should get addressed to an extent. There is very little in the Budget for Corporate India except some minor benefits for smaller companies on corporate tax. Even not much is worth talking about the individual income tax proposals except for the fact that whatever little has been proposed is focused on benefitting the middle and lower middle segments of the society. While start-ups got a mention in FM’s Budget speech, the fine print of benefits outlined for them need to be analyzed keeping in mind whether they will really make any difference on the ground or not. The highlight of this year’s Budget is the boost given to skill development which is aligned to the Government’s development agenda. This budget is focussed on skilling the common man. The proposed cash purse of Rs 1,700 crore for its plan to impart skill training to one crore youth over the next three years is a much needed push that the industry and society needed... While the impetus to skill development is laudable, we need to wait and see how well the government partners with the corporate sector to make these initiatives successful and produce skilled resources for the industry. Overall, the Government has set out on the right path with these announcements, now all eyes will be on the implementation, which is a critical aspect to ensure success. This is a momentous Budget, particularly from the skill development point of view. The Government under the tutelage of PM Narendra Modi envisioned the “Make in India” program and an allotment of Rs.1.5k crore for ‘Deen Dayal Upadhyay Gramin Kaushal Yojana’ scheme, will only augment the skills and employability of rural youth. Additionally, the boost that MGNREGA has received this time, will lead a whole new transformation laying down the road map for rural development and employment. The Budget addresses India’s demographic dividend concern – opportunities for the youth. It turns the spotlight on both sides of the growth story – job creation as well as skill up-gradation. Overall, the Government has come up with a progressive, growth oriented budget. It is very heartening to see that the government has focused on and allocated a good part of the budget to skill development and job creation for the youth. The move to make entrepreneurship training available across schools, colleges and with massive online courses, coupled with the plan to skill 1 crore youth over the next 3 years under the PM Kaushal Vikas Yojna will serve as a huge boost to the Make in India initiative. We have some really bright young minds in the country, which when given the opportunity to develop, can help the country grow and boost its economy. The Budget delivers on the expectations of the education sector and recognizes the role it can play in realising the demographic dividend of India for inclusive development. We are thrilled with the government’s decision to open Multi Skilled Development Institute and Higher Education Financing Agency with Rs 1,000 crore capital...The finance minister's decision to launch schemes to promote digital literacy is a great initiative and will go a long way in achieving inclusive growth and boosting economic activity in the country. The decision to boost Pradhan Manri Kaushal Vikash Yojana(PMVKY) takes away the concerns and addresses the concerns related to skill shortage.